"We have decided to suspend all practical civilian and military cooperation between NATO and Russia. Our political dialogue in the NATO-Russia Council can continue, as necessary, at the Ambassadorial level and above, to allow us to exchange views, first and foremost on this crisis," the statement reads. 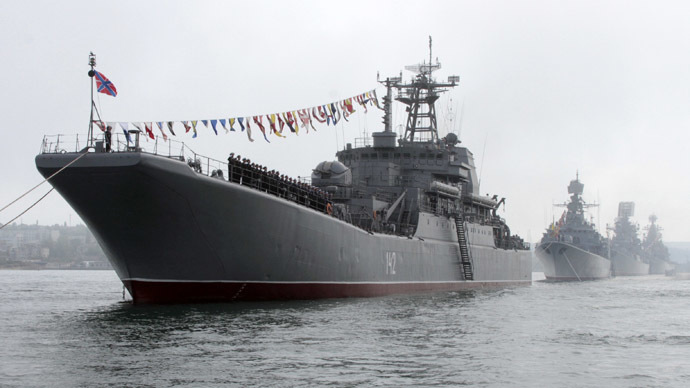 The alliance plans to review its relations with Russia at a meeting in June. The decision could affect cooperation on Afghanistan in areas such as training counter-narcotics personnel, maintenance of Afghan air force helicopters, and a transit route out of the war-torn country. Other projects around fighting terrorism, drug trafficking, and dealing with the disarmament and non-proliferation of weapons of mass destruction could also be impacted. 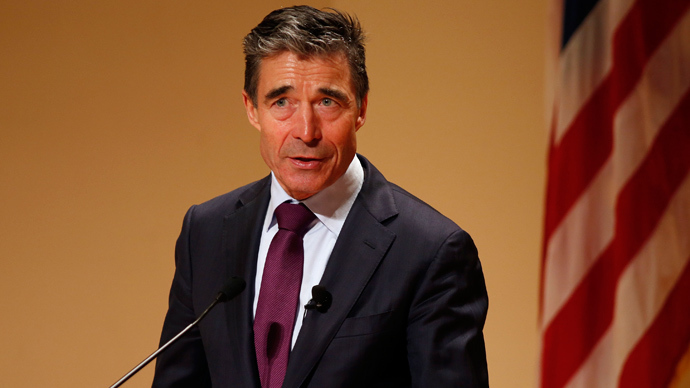 Despite the harsh public statement, NATO Secretary General Anders Fogh Rasmussen backtracked when speaking to reporters after the ministerial meeting on Tuesday, apparently muddying the message the alliance wants to send. 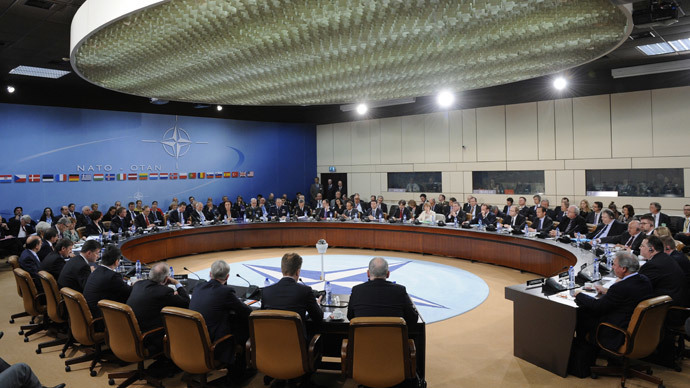 Rasmussen said that NATO expects Russia to continue working with the alliance on the important issues. “I would expect the counter-narcotics projects to continue, I would also expect the Afghanistan-related cooperation projects to continue, the transit arrangements, as well as helicopter projects also because we have a joint interest in ensuring success on our mission in Afghanistan,” Rasmussen said. NATO foreign ministers also urged Moscow in "to take immediate steps ... to return to compliance with international law." The bloc said that it was stepping up its cooperation with Ukraine, promoting defense reforms and increasing the activity of a liaison office in Kiev. The goal will be to modernize Ukraine’s armed forces, including through Ukraine’s involvement in more of NATO’s military exercises, according to Rasmussen. As of now, the efforts to modernize will come short of sending weapons to Ukraine. Ukraine provided NATO members with a list of "technical equipment" it required for the nation’s armed forces, which did not include weaponry, Ukraine’s Foreign Minister Andrey Deshchitsya told a news conference after meeting with NATO ministers. A series of meetings in Brussels was called on Tuesday in response to what the bloc sees as Russia’s aggression in Ukraine and its annexation of Crimea. The bloc called on Moscow to reduce its troop number in Crimea to pre-crisis levels, withdraw them to their bases and taper military activities along its border with Ukraine. 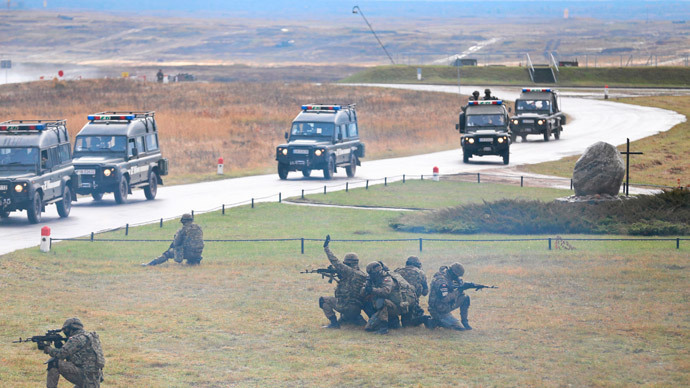 Ministers ordered military planners to "develop as a matter of urgency a series of additional measures to reinforce NATO's collective defenses", a NATO official told Reuters. This might include sending troops and equipment to NATO allies in Eastern Europe, holding more exercises, taking steps to ensure NATO's rapid reaction force could deploy more quickly, and a review of NATO's military plans. Military planners will come back with detailed proposals within weeks, the alliance official said. 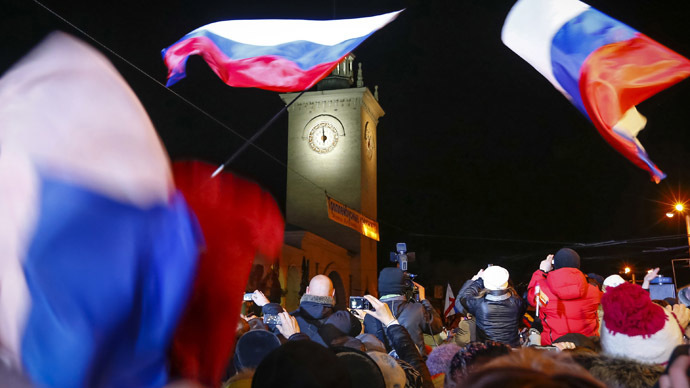 The Republic of Crimea declared its independence from Ukraine following the March-16 referendum, in which 96.77 percent of the voters chose to rejoin Russia. Despite calls to boycott the vote and provocation attempts, 83.1 percent of Crimeans took part in the poll. Crimea became part of Russia in 1783, but was transferred to the Ukrainian SSR in 1954 by Nikita Khrushchev – a move that ex-Soviet leader and Nobel Peace Prize laureate, Mikhail Gorbachev, has called a “mistake.” Following the fall of the USSR in 1991, Crimeans were forbidden to hold a referendum on independence from Ukraine, and a procedure for making such a referendum possible has never been clearly defined in Ukrainian law. Many people in the predominantly Russian-speaking region also rejected the coup-appointed Kiev authorities, and some feared that nationalist radicals aligned with the opposition might launch a persecution of Russians living in Crimea. However, a closer look shows that the neo-Nazi scare was not the only thing that concerned Crimeans about the coup-appointed authorities. One of the first moves of the post-coup Ukrainian parliament was an attempt to strip the status of regional minority languages, including Russian. The political program of the nationalist Svoboda party, which currently occupies four seats in the cabinet of ministers in Kiev, also clearly stated that it seeks to deprive the region of its autonomy and to make it an oblast (administrative division) instead of an Autonomous Republic. According to a common belief among the Russians living in Crimea, some of the Tatars, members of the Mejlis organization, also counted on the ex-opposition Batkivshchyna (Fatherland) party to support them in declaring the region a Tatar national autonomy, despite Russians and Ukrainians making up over 70 percent of the population and Tatars accounting for only about 12 percent of it. Despite Ukraine’s non-aligned status enshrined in its Constitution, the coup-appointed authorities said they are considering changing the relevant part of the supreme law, just as NATO’s chief stated they were “intensifying” their cooperation with Ukraine.